This last week the University of Essex in Colchester held an event looking at the future of housing, and specifically the future we want from Garden Communities. Obviously this is something in which the university has a vested interest and a key role to play, with the North Essex Garden Communities programme currently exploring the viability of a new community on land nearby, as well as new communities west of Colchester and west of Braintree. I was delighted to be invited to address the conference as Chairman of the programme and join the panel of speakers to look both at the potential opportunities of Garden Communities as well as the challenges faced, and I don’t think any of us are under any illusions that to create three true garden communities as we are proposing is going to be easy. What struck me at the event, both in terms of the speakers and the questions from those attending, was the interest and desire to look at a different way of “doing housing”. The key message running through the presentations, and indeed my key point was that in creating a new community we should focus not simply on housing numbers, but the social needs of people who will live there, which as Philip Ross, the former mayor of Letchworth explained, was the original point of the ‘Garden City movement’. Philip, who has published books on the Garden City idea and leads the Garden Cities Alliance, gave some real insight into how true garden communities can operate in line with the ten guiding Garden City Principles and in particular the idea of community stewardship which can see residents and businesses taking an active role in managing community assets such as open spaces and country parks, financed through the capture of the increase in land value generated by the development. 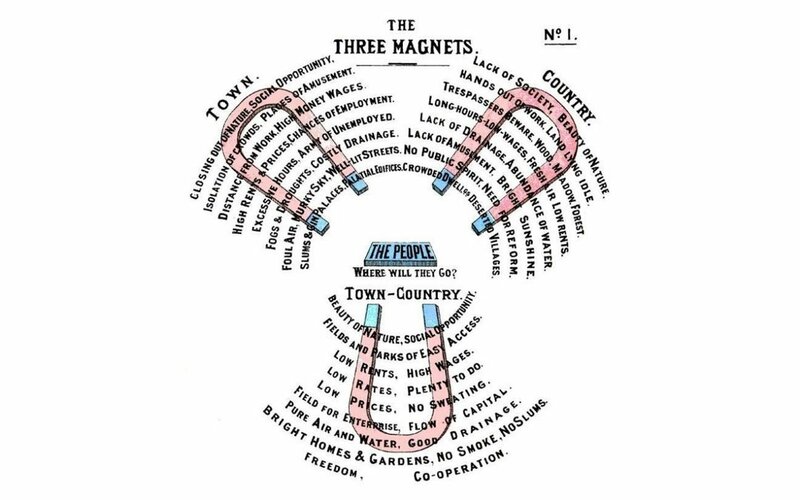 Finally I will leave you with one of Philip’s slides showing the ‘three horseshoes’ that Ebenezer Howard created back in 1898 to show how the design of a new garden community could bring together the rural and urban to create a better place to live.